Nike or Adidas? When buying soccer cleats – or any sort of athletic shoe for that matter – this has to be the most difficult consideration to resolve. So, I went out in search of the best soccer cleats that both brands have to offer to help answer that long unsettled debate. Both with their own hits and misses, I’ve discovered that there really isn’t a clear winner between the two. Sure, you were probably looking for a more definitive answer. But after everything I’ve read, seen, and learned, it’s not hard to understand how and why these two athletic brand juggernauts became the iconic competitors that they are. If you’re still unsure which brand deserves your hard earned cash, I’ve got the information you need to make a solid choice. Read on through as I detail the different designs that Nike and Adidas have to offer so you can land a pick that meets your preferences. Soccer cleats, shoes, or boots – whichever one of these terms you use, they all pertain to a standard design. That is, cleats that were made to be used on natural, outdoor grass. 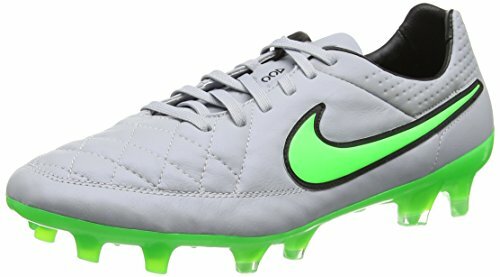 These cleats often feature non-removable studs made of PU, TPU, or rubber, and they’re usually shaped into blades or cones. Both brands have some pretty decent firm ground soccer cleat line-ups. For Nike, the best performer seems to be the Mercurial Vapor XI CR7 FG Cleats. The design features synthetic uppers and a synthetic sole that come together to create a seamless silhouette. The ultra-streamlined design is lightweight and heavily durable, making them perfect for outdoor games. Probably the only downside I discovered is that the fit might not be as good as other Nike firm ground cleats like the Mercurial Victory VI. Adidas offers the Nemeziz 17.3 Firm Ground Cleats which uses synthetic uppers and a rubber sole. On the overall, these cleats boast pretty much the same, premium build as the Mercurial Vaport XI CR7s, with the main distinction being the Nemeziz’s Agility Mesh. Allowing greater ball feel, the cleats are a dream when it comes to control. So all things considered, I’d have to crown Adidas as the clear winner in this specific soccer cleat design department. These days, lots of soccer fields are being converted to artificial grass. This keeps maintenance costs low and offers players a more consistent playing field that reduces the chances of injury. Now, because most experienced players feel the difference between artificial and firm ground, they change shoes depending on the playing field to optimize their performance. 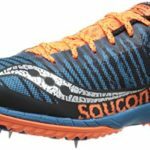 However, as it can be costly to have to invest in two different pairs of cleats, manufacturers have gone out to provide hybrid options that do well on both types of terrain. The Adidas brand boasts the X 15.1 FG/AG Soccer Cleats – a top-of-the-line soccer boot that uses a combination of synthetic and leather for its uppers. It also features a semi one-piece construction, eliminating the inclusion of a tongue and extending the collar slightly upwards to add greater support and a snug fit. 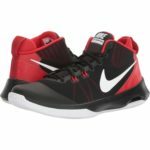 The entire silhouette is reinforced around the heels and along the laterals of the uppers to provide improved stability. The Tiempo Legend V from Nike is potentially their best offering for hybrid soccer cleat buyers. 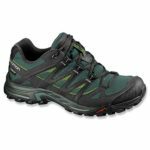 The design uses synthetic kangaroo leather uppers which are much more forgiving and flexible, but pose the risk of increased wear and tear. So the brand tried to offset this by incorporating a Hypershield exterior that keeps moisture out of the material. Personally, the Tiempo Legend V just seems uninspired when pitted against the X 15.1. This, plus the fact that Adidas basically invented the hybrid blueprint, makes the winner for this arena pretty clear. So it’s two to none. Muddy, moist, and messy – soft ground terrain is characterized by wet soil and patches of grass here and there. As one of the most difficult types of terrain to navigate during a soccer game, soft ground requires cleats with longer, more durable studs that provide greater traction. 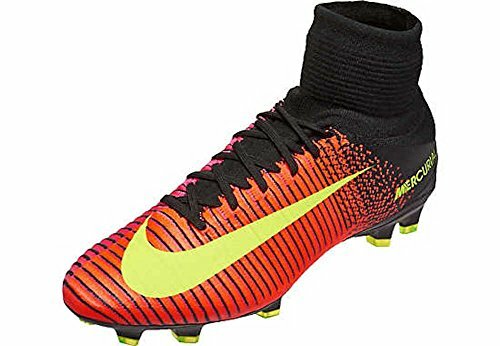 Nike’s best soft ground soccer cleat offering is the Mercurial Superfly V. With its high, snug-fit collar, these cleats provide improved lockdown that’s particularly efficient at preventing injury. The conical studs feature full-on metal construction, making them far more durable compared to their rubber, PU, or TPU counterparts. Fit-wise, the boots are unmatched, allowing just enough movement for dynamic performance that doesn’t dampen your skill. Adidas claps back in this arena with the World Cup Soft Ground Classic Soccer Boots. Don’t let the aesthetic deceive you – these cleats do great on soft terrain, featuring six, lengthy, tapered, metal studs that dig deep into the ground to give you impressive grip on even the most challenging turf. Unfortunately though, the classic design doesn’t have much else to offer. Sure, it’s not really so bad on the field, but once you compare its performance to the Mercurial Superfly V, the discrepancy becomes pretty obvious. So I’m giving this round to Nike. Soccer cleats made for artificial ground usually come with much less prominent studs. These are also more widespread, allowing greater stability on sunbaked hard concrete or consistent-level artificial grass. The best AG/HG soccer cleats I found under the Adidas brand is the Ace 17.3 Primemesh Cleats. The design incorporates 11 short rubber studs, with four over the heel and seven spread throughout the forefoot. The design also uses a high-cut collar, allowing more stability on level surfaces. One thing I do want to mention is that the design also boasts an ultra-thin film that prevents debris from entering the construction. Of course, this would have been a great inclusion for FG or SG cleats, but considering the fact that these shoes were made for indoor play makes the film seem a little unnecessary. Nike’s Mercurial Veloce uses a durable TPU sole. A unique stud design covers its surface, giving it unmatched traction. Arranged in lines, the treads offer reliable grip that bites hard during heel strike and hard turns. The outsole design, although pretty outlandish in terms of appearance – makes for explosive traction during a game, enabling users to run, turn, and do all the fancy footwork with superb confidence. 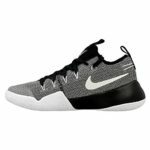 Again, I’d have to give this category to Nike who just overpowered the entire arena with its intuitive outsole design. So the score sits at two for two. Designed for use in gyms and recreational facilities, indoor soccer shoes do without the cleats all together. So what you get is sticky traction by way of gum rubber outsoles, and more stylish aesthetics fitting for casual use. To that end, Nike offers the Mercurial X Victory. The tongue-less design gives the shoe a sleek look, and the subtle rubber sole meets seamlessly with the uppers to give the design undeniable sophisticated appeal. But don’t let the aesthetics fool you – the shoe performs impressively in indoor conditions, providing superb traction and intuitive ball feel for greater control. 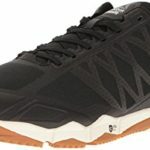 Not to be outdone, Adidas released the X Tango 17.3 Indoor Soccer Shoe. Just as streamlined as the Mercurial X Victory, this soccer shoe is highly flexible and lightweight, letting you get around with ease and greater stability. The gum rubber soles are also really efficient on indoor terrain. So they’re perfect for high-speed games that require a lot of multi-directional traction. My bet in this department? I think it has to be a tie. Both brands have some impressive picks to offer, and they all perform astoundingly well. So the choice ultimately lies in which brand tugs at your heartstrings a little more. With that, I’m sure it’s a lot easier to see why I just couldn’t settle on a single brand. Both with equally impressive designs, the Nike and Adidas brands simply perform better in different arenas. So it really depends on where you see yourself playing soccer more often. For outdoor players, Adidas’ firm ground and hybrid selection is definitely something you’d want to look into. 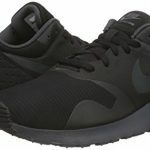 For those who see themselves playing on artificial terrain or on demanding soft ground, Nike has a number of worthy designs that are sure to improve your game. Finally, if you want something for indoor play, or if you’re looking for a good looking shoe to add to your wardrobe, then it’s all a matter of brand bias. 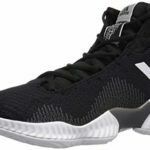 Adidas Pro Bounce 2018 Review: Is This New Basketball Shoe Worth the Hype?